Over the next couple of weeks we will be round and about entertaining folk from various shires. Last week and this we are in Somerset, Dorset and all corners of Devon. Next week it will be Yorkshire, the great metropolis of London and back to Devon. Our audiences have been regaled with accounts of crime, of punishment, of witchcraft, of the culinary arts, as well as general tales of our time. In preparation for our travels, Master Christopher has been sharpening his knives and renewing his supply of leeches. Mistress Agnes is packing manchet bread, marchpanes and a flagon or two of best ale. Do our prospective audiences know what they be in for? We think not. Swords and Spindles deliver interactive presentations about life in the sixteenth and seventeenth centuries to any who will cross their palms with sufficient groats. Distance be no object, as long as we do have enough hay to feed the horses. We are already taking bookings for 2018, so do get in touch promptly to avoid disappointment. Mistress Agnes will soon be wending her way towards the capital in order to instruct folk in the matters of her time. There will advice on attire, recipes and all manner of handy hints on personal grooming and how to run your seventeenth century household. 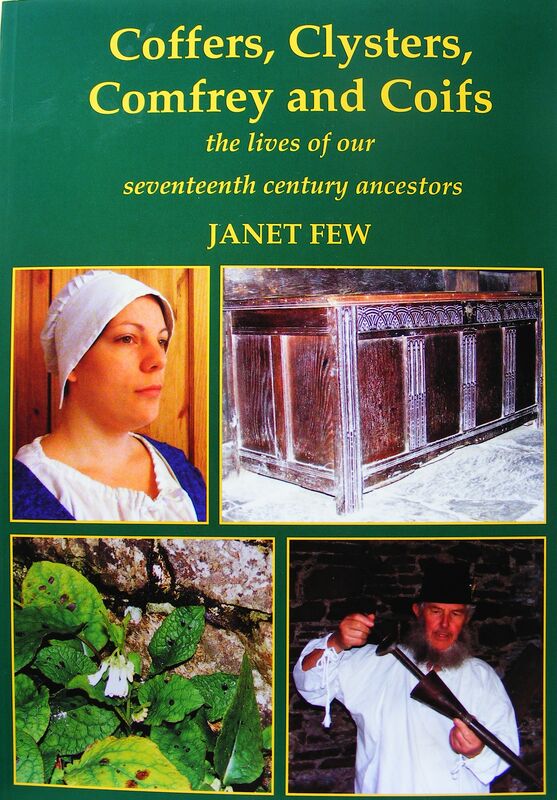 ’Tis ideal for those who do be tracing their family tree and wish to know more about the lives and times of their ancestors. If you wish to part with groats in order to be so delightfully informed then you do need to click here. Swords and Spindles run short sessions, workshops and day courses about their life and times, suitable for history groups, heritage sites and schools. Who Do You Think Mistress Agnes and Master Christopher Are? Look out world, Mistress Agnes and Master Christopher will be heading northwards again in April to put in an appearance at Who Do You Think You Are Live? On Thursday 7 April Mistress Agnes will be holding forth (or third) on the life of the Tudor Housewife – book now to avoid disappointment. She is also to be an expert, whatever that is. You won’t yet see Master Christopher on the programme but rumours that he will be curing all comers on 8 April have not been exaggerated. Whether you have a headache, broken bones or noxious wind of the belly, he has the means of relieving your symptoms. Keep your eye on the programme and book a consultation. Despite not being educated folk, they will be putting their marks in copies of Coffers, Clysters, Comfrey and Coifs, which we hear tell Mistress Agnes had a hand in. If you want them to reserve you a copy to collect during the event, let us know.